Serverless computing allows you to build and run applications and services without thinking about servers. With serverless computing, your application still runs on servers, but all the server management is done by AWS. Using AWS and its Serverless Platform, you can build and deploy applications on cost-effective services that provide built-in application availability and flexible scaling capabilities. 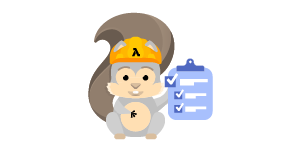 This lets you focus on your application code instead of worrying about provisioning, configuring, and managing servers. Why build a serverless application? Building a serverless application allows you to focus on your application code instead of managing and operating infrastructure. You do not have to think about provisioning or configuring servers since AWS handles all of this for you. This reduces your infrastructure management burden and helps you get faster time-to-market. Serverless applications have built-in availability and fault tolerance. You do not need to architect for these capabilities since the services running the application provide them by default. You do not have to pay for idle capacity. There is no need to pre- or over-provision capacity for things like compute and storage. For example, there is no charge when your code is not running. How do I build a serverless application? 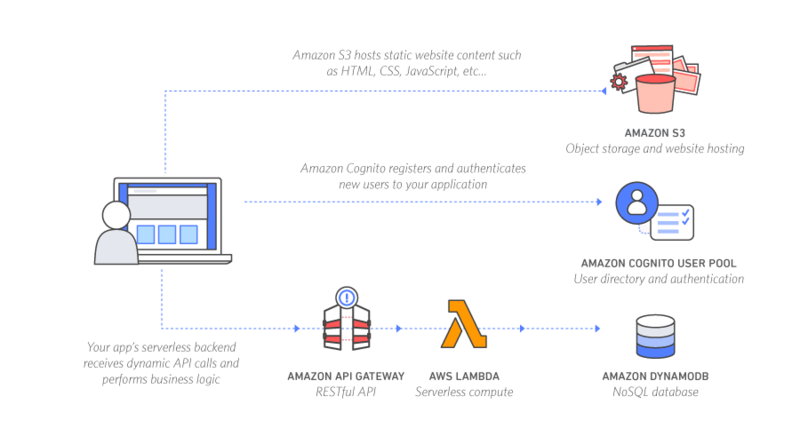 You can build a serverless web application by using several AWS services together. Each service is fully managed and does not require you to provision or manage servers. 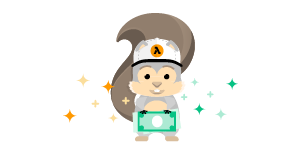 You only need to configure them together and upload your application code to AWS Lambda, a serverless compute service. 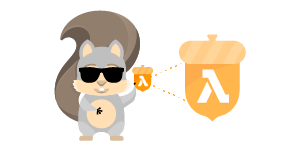 Follow our step-by-step guide to deploy your first serverless application today. 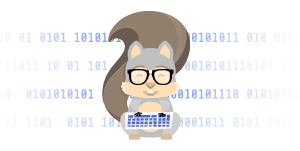 SAM the Squirrel is named after the AWS Serverless Application Model (AWS SAM), a model for defining the resources used in a serverless application. 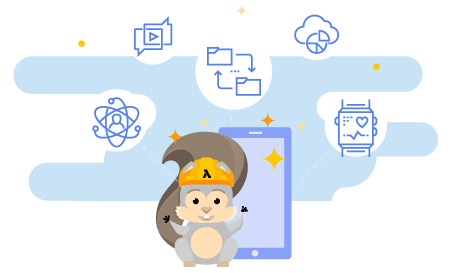 SAM left behind a cozy life in the trees to help AWS users build their serverless applications effectively and more easily.